For use with GM TH400 Deep pans, this filter pickup tube allows proper pickup depth for applications where a deep pan is replacing a stock depth TH400 transmission pan. In Dodge applications where a STOCK depth pan is replaced by Derale’s DEEP pan Part No. 14210, a filter extender is suggested. 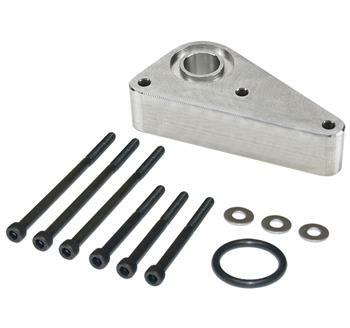 Machined Billet Filter Extender Part No. 14010 is available for this purpose. Made for use on deep transmission pans, this filter extender drops the filter 1” ensuring proper oil pickup in all conditions. Filter extender must be used in extreme off-roading applications.